Are you feeling a bit uninspired by your apartment’s current decor? 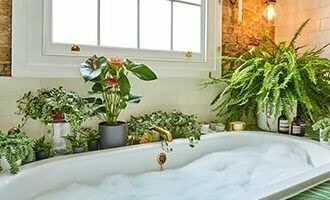 Refreshing your home doesn’t have to be an enormous task comprised of regrettable paint swatches and decorators with dirty boots traipsing through the house. A few simple additions to your walls, floors and furniture could be all the update you need. Simple and effective, cushions give you so much freedom to play with colour, texture and pattern virtually anywhere. 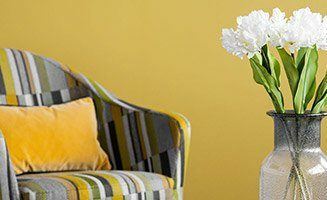 Inject colour where it’s currently lacking, relax furniture that looks otherwise hard or boxy, and try out a new trend without going overboard. Luxury fabrics such as velvet, faux fur and silk are huge in the fashion world right now, and this is trickling down through to homeware and interiors. Experimenting with these decadent textures makes perfect use of pillows and will earn you some serious style points before you commit to the latest craze. The average interior junkie is no stranger to the king of pin-boards: Pinterest. The rise and reign of social media has us desperate to show off our “likes” and share them with everyone we know. If you enjoy curating your boards with loved and lusted-after products, you can bring them to life on a wall near you with an on-trend noticeboard. Banish thoughts of the patchy cork-board you pinned postcards and gig tickets to in student halls. The new noticeboard should be a feature in itself. Look out for oversized pegboards or wire-style pieces in copper or rose gold, and use pretty pegs and binder clips to make a statement of your favourite accessories or display arty prints and photographs. Whether a footrest, a workspace, or a place to put down your hot drinks, your coffee table is a versatile piece of furniture which, when used successfully, will serve to create a visual flow through your living room. As a place to congregate and a centrepiece to what is arguably your most sociable room, your coffee table begs to be adorned with something to talk about. Use your coffee table as a subtle way to express yourself. Invest in coffee-table books – a whole genre designed to look pretty and artistically show off your interests. Candles and flowers will instantly give your coffee table some photogenic flair, and interesting ornaments or little curiosities arranged on a pretty tray will add instant charm. A certain amount of wall space will bounce light around, creating the illusion of a large and airy room. Too much space can have a sparse effect, lacking in character and warmth. Art will quickly brighten up an empty wall and will add colour and personality to the room. Choosing wall-art can be difficult, but avoid drifting towards crowd-pleasing, mass-produced prints – which will look over-familiar and cheapen the overall feel of the room. Instead, opt for original or limited-edition pieces. Though this may sound pricey, sites like Saatchi, Etsy and Artfire offer a wealth of options that cater to all budgets, and local art galleries are great places to source something a bit special. Tapestries are not to be reserved for Moroccan vibes (although if that’s what you’re going for, wall-hangings are ideal for channeling that), and are perfect if you’re not confident choosing art. Select colours that are already accented in your decor to create cohesion. New furniture is a treat and will transform any room that needs some extra love, and statement seating is where you should be putting your focus right now. Create some extra space around your newly glamorous coffee table with comfy poufs and lounge-friendly beanbags to really chill out. 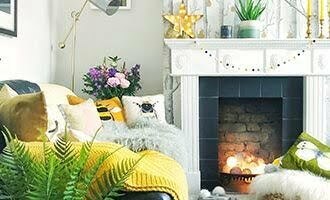 Go Scandinavian with clean and neutral colours, or choose warm and vibrant patterns for a more Eastern feel – either way, low seating is perfect for the ultimate cosy night in. 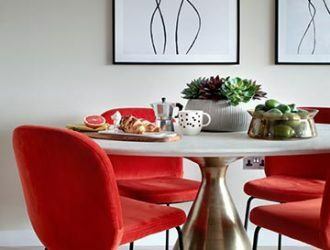 Take a look at our blog to discover more of the latest trends in interior design and modern living in the capital, or follow our #LoveLondon project to find out why the London is the place to be.